Armação de Búzios was inhabited by Tamoios Indianswhen Brazil was discovered by Portugal. 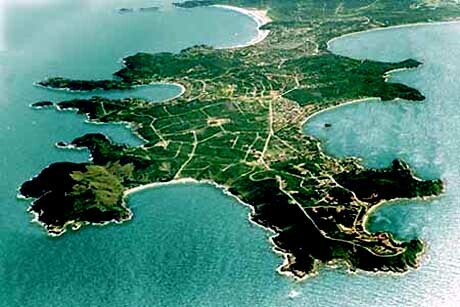 In the 16th century, its small bay and abundant sweet waters let it become the supply point of French pirate ships. The origin of the name arouse because the bottom of the ocean was full of music shells and ships anchored in its bay, allowing them to organize fishing expeditions before continuing the trip. Búzios became a beautiful place where the rich people could find peace and quiet. The interest for this place increased in 1960 with the visit of French actress Brigitte Bardot, then a famous international movie star, who chose this city to relax for some days. Since then, Búzios started to be part of the special itinerary in the international tourism. Búzios has a good infrastructure with hotels and lodging of international category nice bars and fancy restaurants. There is an intense local commerce with stores of national and international brands. Despite the actual sophistication, Búzios still keeps a little bit of the fishing village that gives Búzios something special.